Haute-Provence has a quality lavender crop. « True lavender » also known as « fine lavender » which used to grow wild, is now harvested and has had its AOC: « Essential oil of lavender of Haute-Provence » since 1981. There are a great number of varieties due to the morphological variations of the territory and the history of lavender growing. The sites: a landscape marked by undulating plateaus, open spaces, magnificent horizons accentuating the curves and ruptures of soils and high ground. The Valensole plateau us a very good example. High land lavender can be found in perched valleys with marked high ground, a rigorous climate, and relatively infertile soils. To be found in the pays Dignois. Lavender mosaics are to be found in dry middle mountain areas. This lavender was planted to mix with the traditional crops of Haute-Provence (olive-groves, vineyards, herbs, etc. ).Banon and Simiane la Rotonde in the pays de Forcalquier illustrate this type of landscape very well. Lavender flowers from the end of June to the end of August and is generally harvested from the second half of July until the end of August. 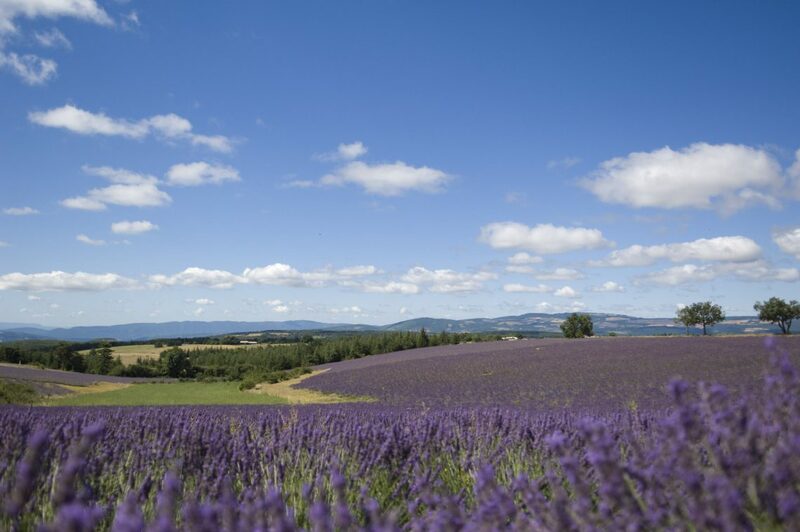 Two species of lavender are cultivated in Provence: lavender and lavandin. True or fine lavender (Lavandula angustifolia) is the noblest of lavenders for the quality of its essential oil. It is generally found between 500 and 1500 metres altitude, on the sunny slopes of the mountains of Provence. Lavandin is a hybrid of true lavender and spike lavender. It grows easily in the wild but is mostly cultivated on the Valensole plateau. Lavender is used for the production of essential oil. Lavender essential oil is used in perfumery, cosmetics and aromatherapy, for its soothing properties. In medecine, it is recognized as a powerful antiseptic, disinfectant, healing agent. It is also supposed to be an efficient moth and louse-repellent. It is recommended in insomnia, nervousness, rheumatisms and respiratory infections. It is also used in fine cuisine, and lavender honey is also produced. To know the dates consult our events calendar. Without a doubt, the Valensole plateau is the most emblematic location in lavender-growing. 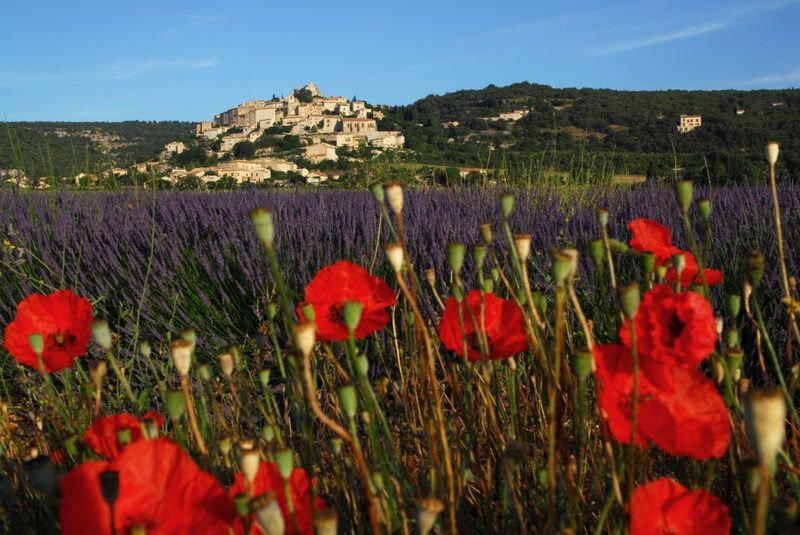 Today, the Routes de la Lavande (Lavender roads) take you all year round on a trip to discover a symbolic treasure of Haute-Provence.